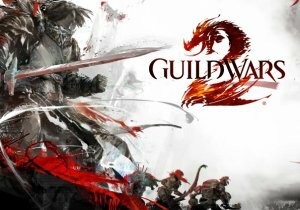 The wait for raids in Guild Wars 2 is officially over! ArenaNet just activated the first raid wing for Guild Wars 2: Heart of Thorns with the release of Spirit Vale, introducing a new raid experience that’s sure to test the skills and fortitude of even the most hardened MMO raiders. Spirit Vale represents the first of three wings that will ultimately make up the first full raid for Heart of Thorns. Raiding in Heart of Thorns is distinctly Guild Wars 2, rooted in everything that sets the MMO apart. There are no attunement quests for raiding in Heart of Thorns, and there’s much more freedom of party composition thanks to the versatility and universal healing ability of professions in Guild Wars 2. The ferocity of pace and action in raids is an extension of the core game’s combat system, where success is rooted in player skill, strategy and timely execution. Abandon UI gazing all ye who enter our raids. Bring all the hope you can muster. Last January, ArenaNet promised players that Heart of Thorns would deliver “challenging group content” unlike anything they’ve seen before. Today, players get to dive into the first part of that experience with Spirit Vale. You can get more information on this first raid wing including: how it ties into the rich Guild Wars 2 universe, new features such as enhanced squad UI for raiding, and a preview of the rewards players can reap on our release page. Jagex has announced the Facebook launch of Carnage Racing, their new racing game announced last month.